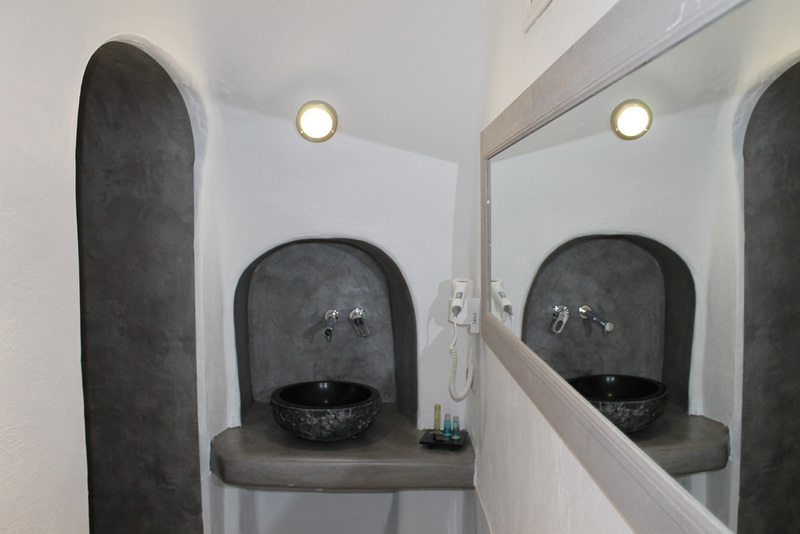 Address : 12 Ionidon Str. 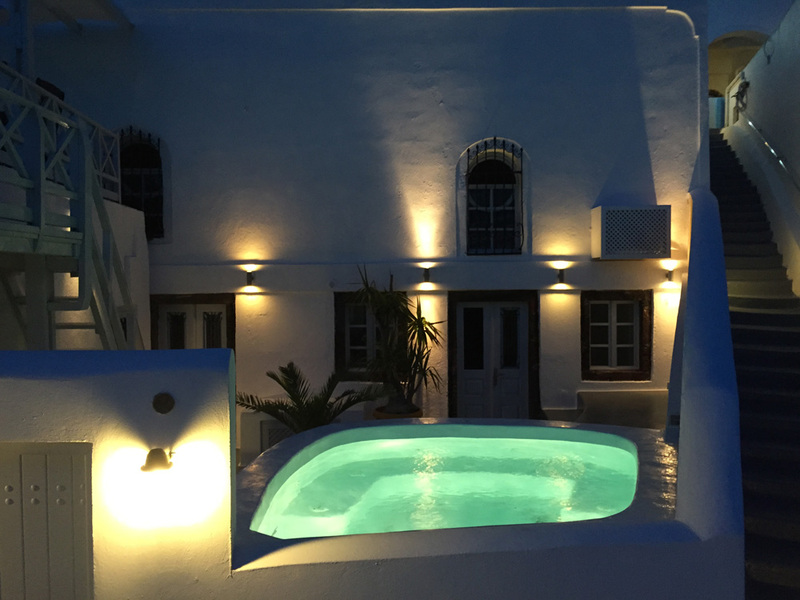 In the white-whased village of Imerovigli you will find Sunny Villas, only 1500m from the vibrancy of Fira town, yet a world in serena tranquility. 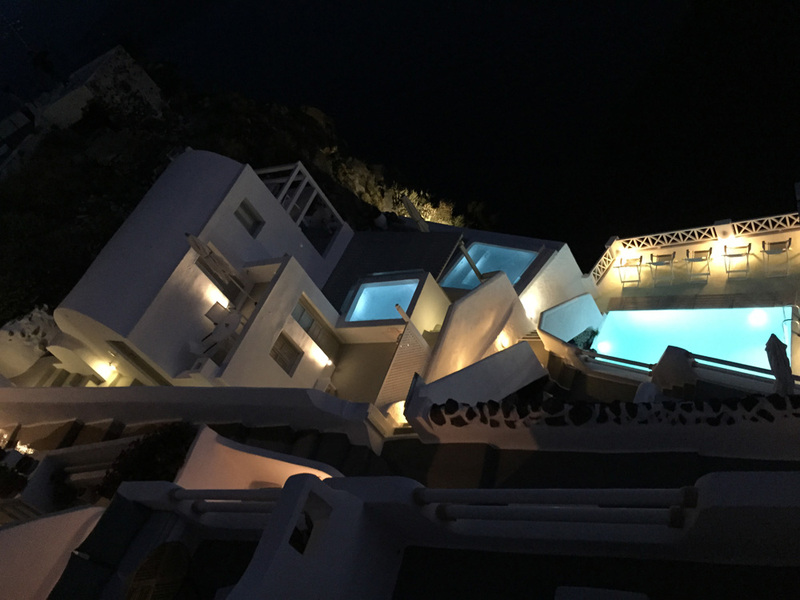 Nested into the cliff face above the Venetian fortress of Skaros, Sunny Villas is a complex of restored dwellings representing the traditional architecture of the island while offering our quests a full range of up to date facilities. 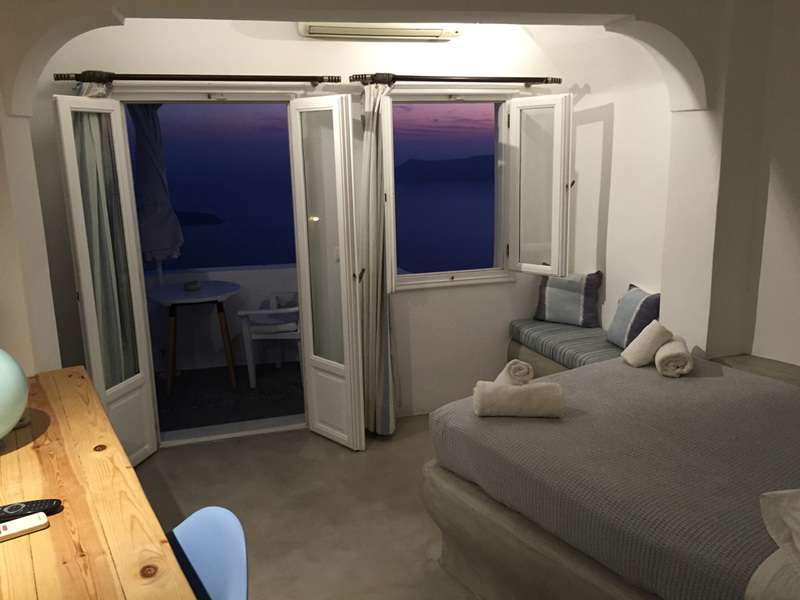 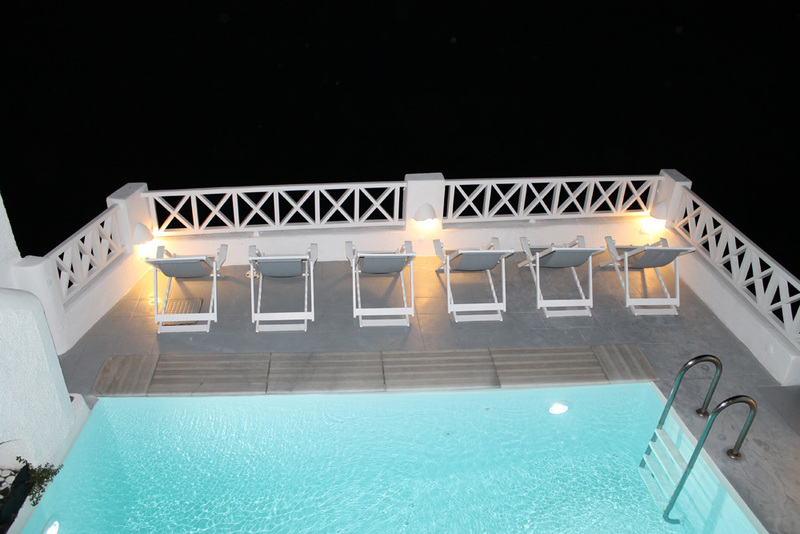 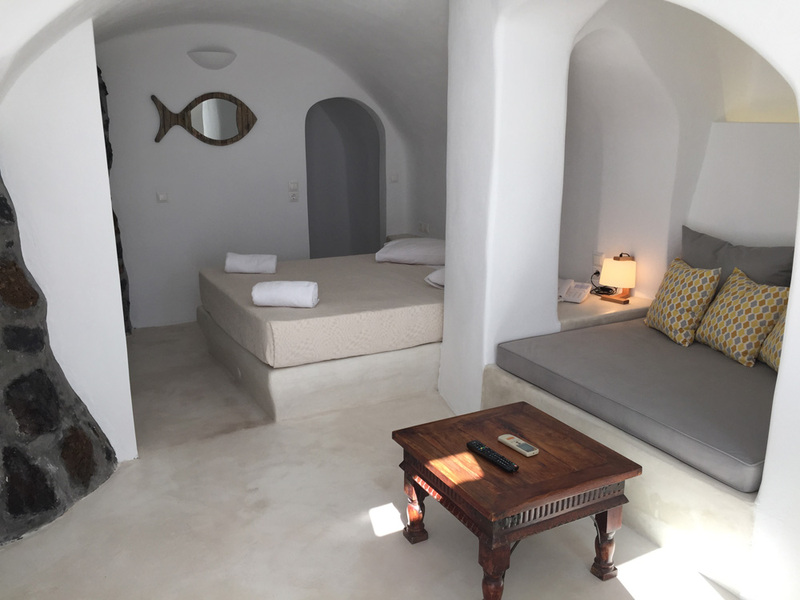 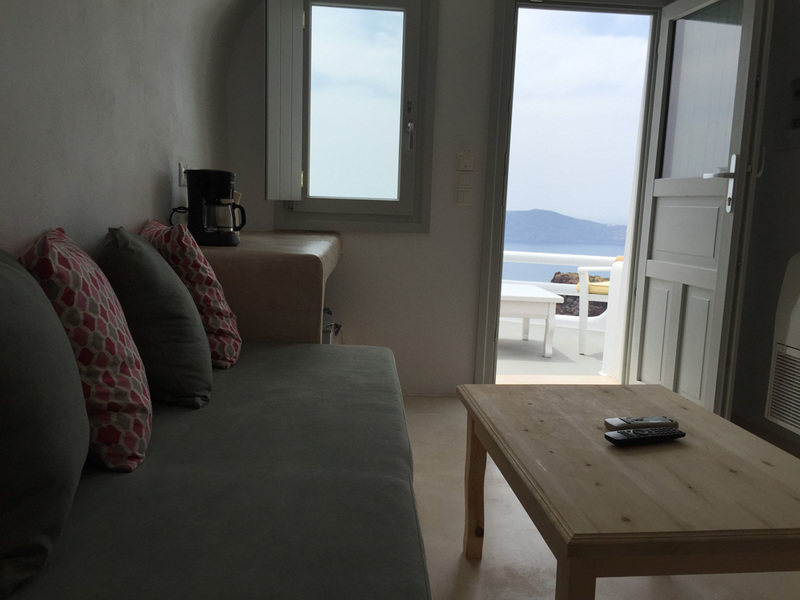 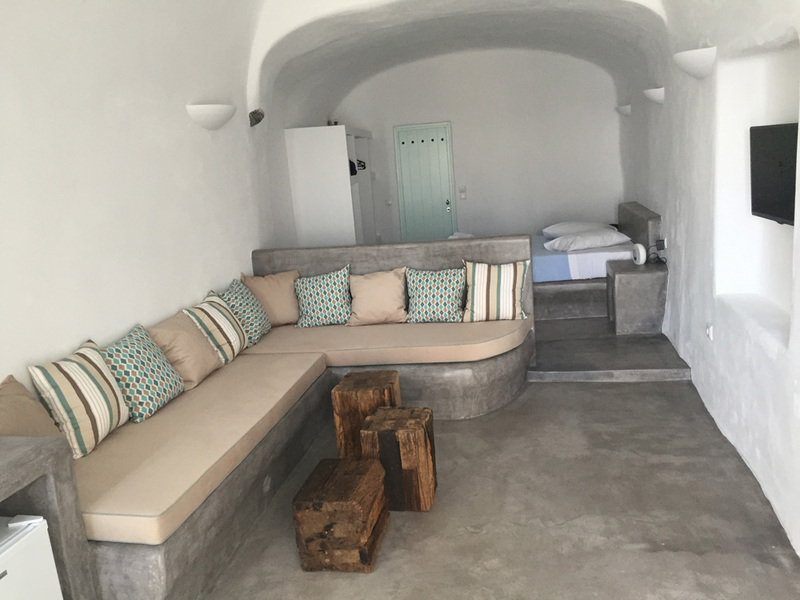 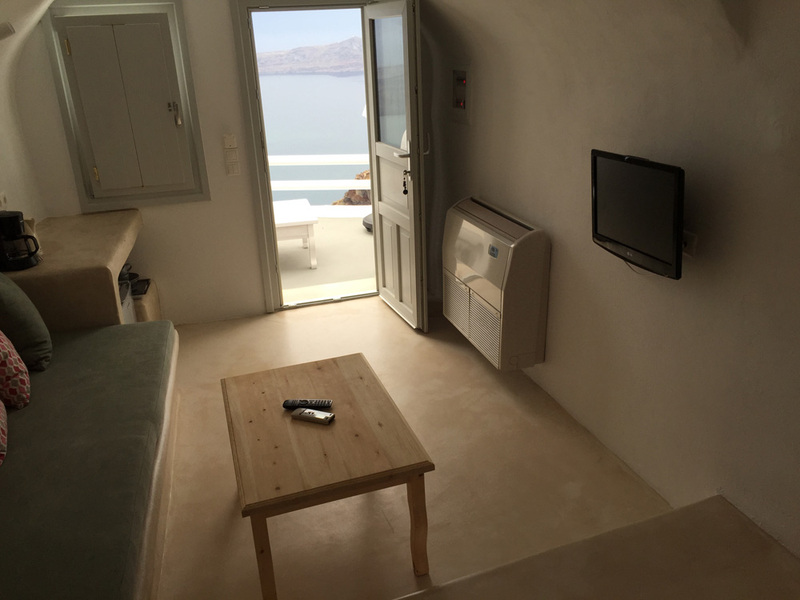 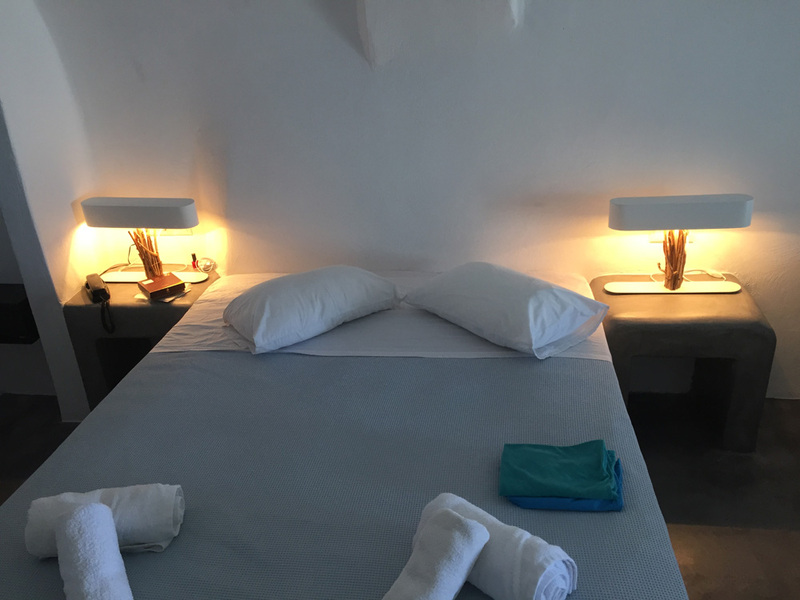 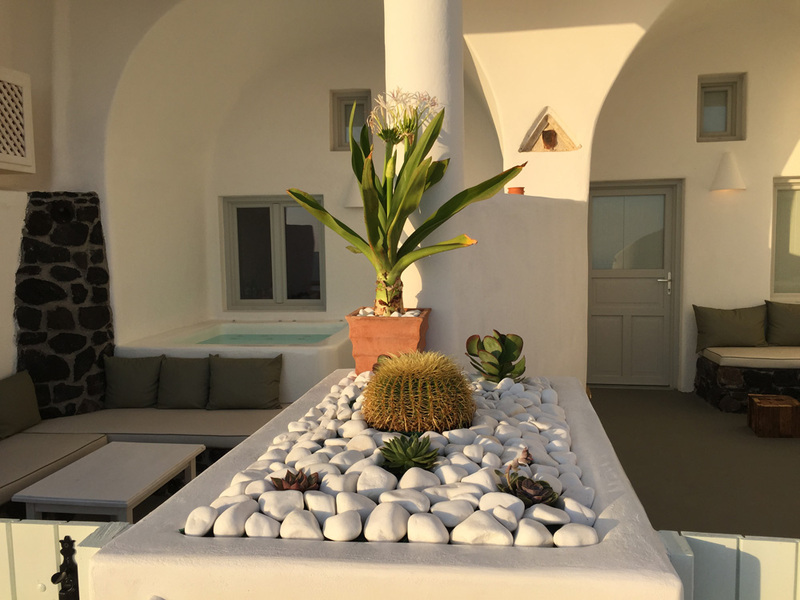 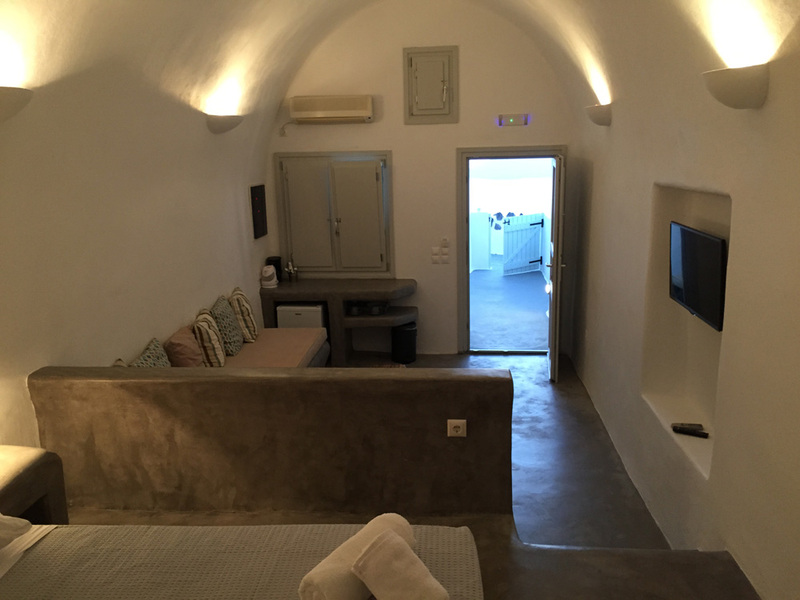 Each of our individually designed apartments, suites & studios has been furnished with care and is equipped with atmosphere-controlled bathroom with hair dryer (some two bedroom suites & apartments have two bathrooms), kitchenette, safety-deposit box, telephone, TV and veranda with view to the volcano and astonishing Santorini sunset. 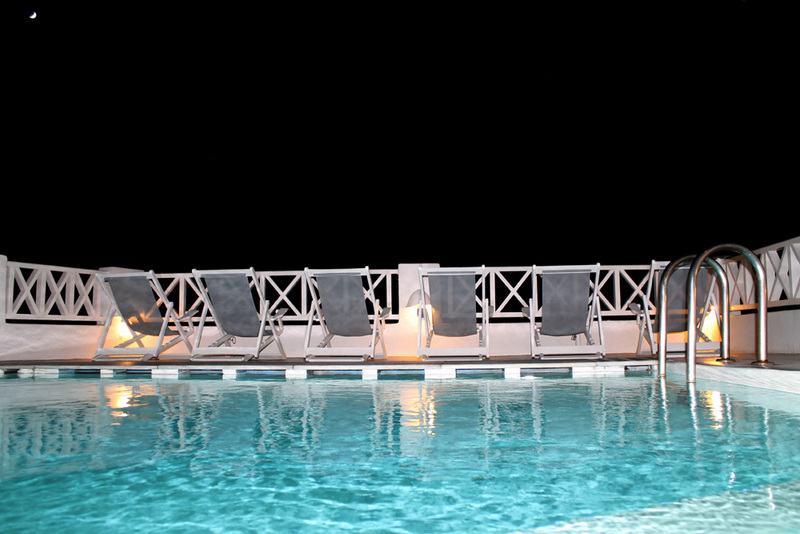 Have a refreshing dip in the swimming pool, linger over a cocktail at our pool-side bar, or simply let stress melt away in the jacuzzi. 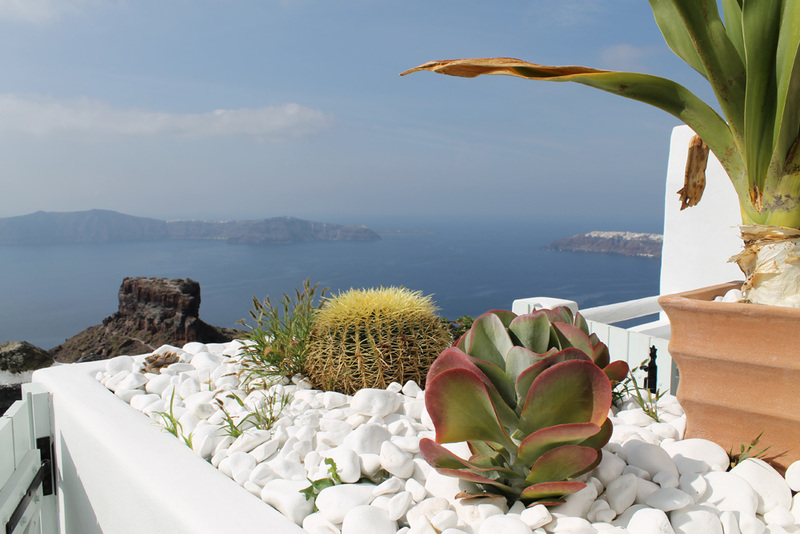 Experience the cool breezes of the Aegean, the mesmerising beauty of the Caldera and the warmth of our hospitality.